Sanj Randev is a busy man. During the course of our conversation, his phone rang several times “new business” he says when we get back to talking about Huyton Heat Treatments. Established for a number of years, Huyton Heat Treatments is going strong, raising turnover to £691k for 2014, an increase of £113k on 2013’s figures and there’s much for Sanj to be optimistic about going into 2015. With a widening of their customer base through sales calls and word of mouth recommendations, they anticipate sales figures will climb to 2012 levels in the coming year. 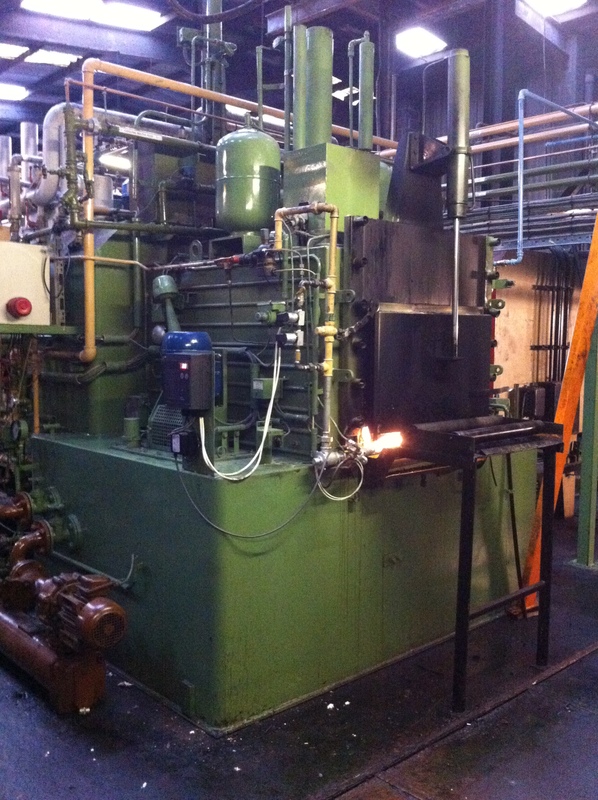 Having majorly expanded in the late 1980s, Huyton Heat Treatments developed specialised and trademarked heat treatment processes which were licensed for use as far afield as India and South Africa. At one time all British Rail technical drawings were only permitted to use one of Huytons’ specialised processes. The company continues to do work for British Rail to this day. Operating from a 10,000 sq ft Merseyside factory, Huyton Heat Treatments have now turned to asset investment to boost their sales. With another furnace approved for the end of March, capacity is expected to increase by 60 tons per week and the funds requested in this loan auction set to buy a truck that adds more value to the balance sheet. Such is the growing demand for Huyton’s services from clients in the Midlands, Sanj is looking at running a new furnace 24 hours a day, 7 days a week which could generate £50,000 per month, with a 70% net profit margin on the work. This is scheduled to land in March. Sanj says that being a ‘quality critical company’, Huyton Heat Treatments has previously had to turn away work, but that the new furnace should alleviate this problem. The company will be able to complete work more rapidly, making them more competitive. Becoming, as Sanj describes, a ‘24/7 company’ will ensure Huyton Heat Treatments are level with their competitors. Whilst falling fuel prices have helped with their costs, transport remains an issue to Huyton Heat Treatments. Working capital is required to upgrade their lorry to keep up with increasing business demands. Currently the company is having to make return journeys for collection and needs three times the capacity to do the work faster, saving cash on fuel and labour in the process. This would allow them to offer a larger collection and delivery capacity to their existing and potentially new customers. He also expressed his concerns about access to working capital and described how it is elusive for a lot of companies. “I would like to see government pressure to bring the two closer together and ease such problems. It’s great that rebuildingsociety and its investors recognise this” he added. Positively, the company are expecting a jump in business, especially through treating parts for long-term client, Terex trucks. Huyton is also benefiting from UK companies coming back to the UK for suppliers. Certain aspects of production have, in recent years, been outsourced to places such as China. However, outsourcing has not always proved fruitful and industries such as the fishing industry are looking to bring production back to the UK. One of Sanj’s major clients in the South West has turned its back on the Far East in favour of him, giving Q1’s sales numbers another boost. “It’s all about quality in our industry, and we’re a quality-critical company. As we expand our capacity in 2015, I’m confident we’ve got the speed, quality and resources to expand the business dramatically”, he concluded.